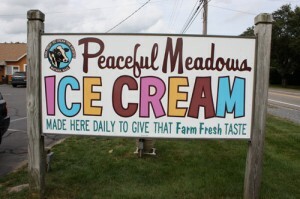 Peaceful Meadows has come a long way from our humble start as a local dairy farm, raising cows and delivering milk to the local community. 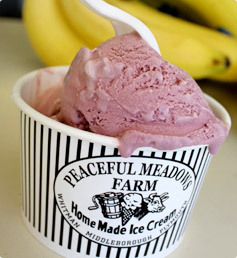 Since 1962 Peaceful Meadows has been serving up scoops of the freshest homemade ice-cream, in the freshest homemade way. All of the ice cream that hits the freezers of our 3 Massachusetts locations is made right here in Whitman, MA. Everything from the flavors to the freezing happens here at the farm. So if you haven’t stopped in for a sample of some of the best tasting ice-cream out there… Don’t worry, were open year round 10am-10pm. Bring your family, your friends and your appetite, we’ll be here to put a smile on your face and a memory in your heart. OPEN 10am-10pm – all year round!